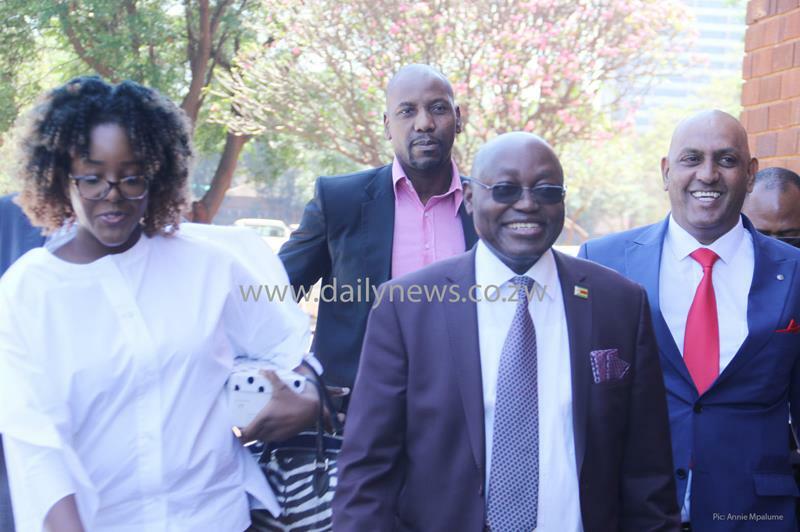 HARARE – Former president Robert Mugabe’s son-in law Simba Chikore will be tried together with his co-accused Simbarashe Mutimbe after the State successfully applied that their dockets be married. Chikore and Mutimbe allegedly unlawfully detained Zimbabwe Airways employee Bertha Zakeyo for four hours when they denied her exit from her workplace. The State, represented by Linda Gadzikwa, applied that the two be jointly charged because they connived to commit the offence. Gadzikwa argued that the duo is facing the same charge and that the circumstances are the same. Through his lawyer, Chris Venturas, Chikore opposed the marrying of the dockets, arguing that the State failed to make a courtesy notice of its intention to jointly try the accused persons. Venturas said if they had been notified earlier, they would have adequately prepared their responses. However, Harare magistrate Elisha Singano ruled in favour of the State and that according to the Form 242, Chikore and Mutimbe acted in common purpose. Singano said the charge which is of unlawful detention is also the same. “It is the court’s considered view that no prejudice will be suffered if Chikore is jointly charged with Mutimbe on the same charge and on the same facts. “The State must prepare papers to reflect this position either when they are preparing for trial or on the next court date,” Singano ruled. Singano also implored the State to notify the defence counsel if ever they intend to make an application to allow the defence prepare and take proper instructions from the client. He remanded the matter to December 14 for trial.